What is Commercial Roof Ventilation? When you look at a commercial roof you might not be aware of the amount of planning and electronic systems that went into setting up the ventilation within the roof to help it function at its full capacity. But what exactly is Roof Ventilation and how does it impact your Commercial Roof..? Roof ventilation is used to get rid of existing air in the roof space; which requires access to replacement air. If you think about a normal home, it produces four to five pounds of water vapour per day! If the home has poor roof ventilation this means that the vapour has no place to go and forms condensation which can cause erosion and damage to not only the roof but the buildings structure as well. So if you think about the size of a residential roof to that of a large commercial roof, you can start to see why proper ventilation is so important! It is also essential when wanting to improve your commercial roof ventilation that your roof ventilation consists of an exhaust as well as an intake. The temperature between the inside of the roof and the outside of the roof can be considerable and only through using an intake and an outlet can these temperatures be brought to a stable and acceptable level. 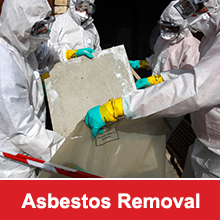 As well as an Exhaust and intake you might like to consider the type or amount of vents your roof contains. Dormer Vents are one of the more universally used forms of roof ventilation because they are relatively easy to fit and they can be installed at the back of the house where it is easy to keep them hidden from view. The issue of having air leakage into the roof space is something that will need to be addressed. For example by looking into a tiled roof you will see a certain amount of daylight though small or occasionally quite large gaps between the tiles and even for tin roofs. There will also normally be some gaps situated at the lower part of the roof. Yet a certain amount of air is still available via such openings. When you have installed a roof ventilator this will start to remove hot or moist air from the roof space – you will find that the restrictions in the incoming air will reduce the effectiveness of your roof ventilator considerably. This really is just a tip of the iceberg when it comes to Commercial Roof Ventilation and a quick look into what it is. I am sure as you will appreciate it, there are many factors and elements in play here. 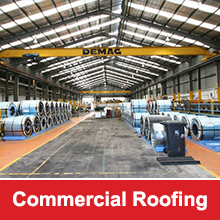 If you have any questions regarding your commercial roof, we have over 35 years of experience in the roofing industry and would be more than happy to help.